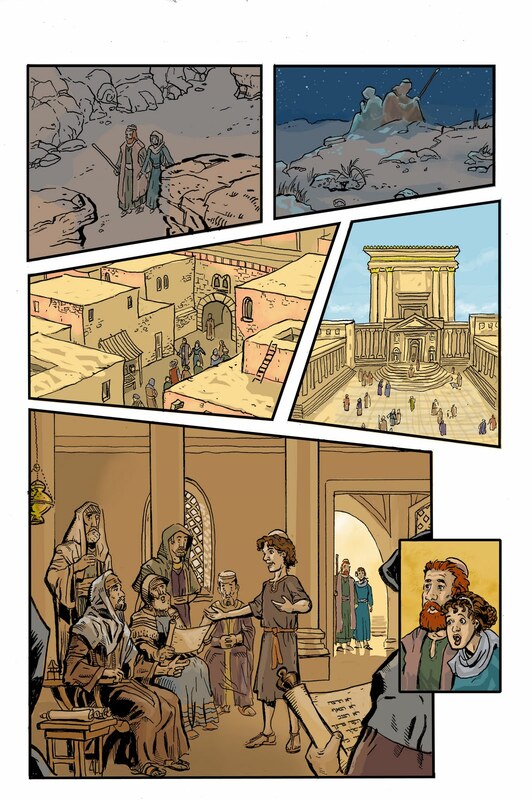 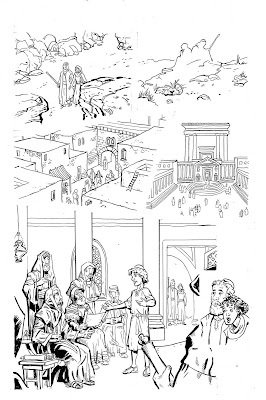 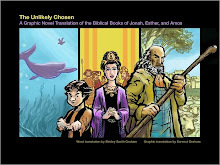 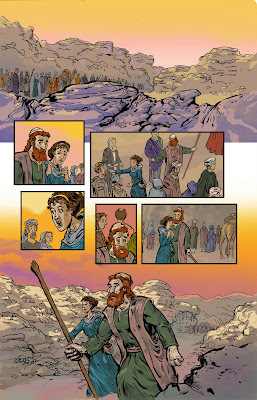 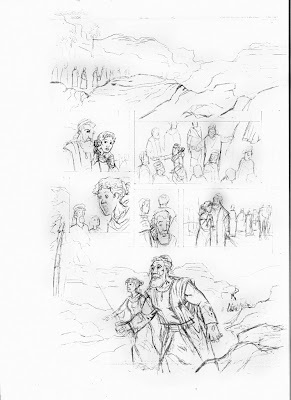 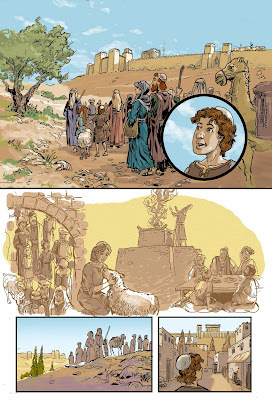 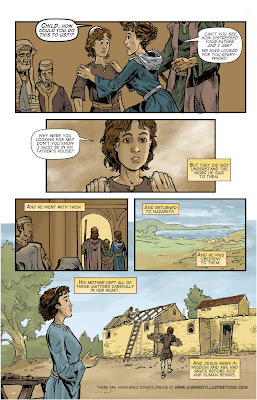 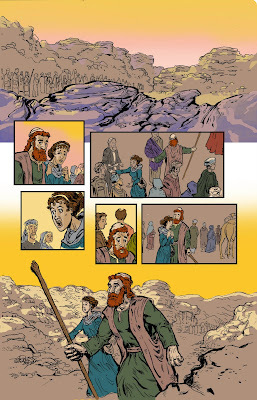 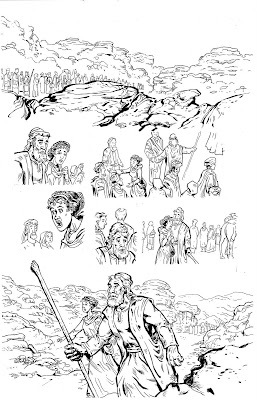 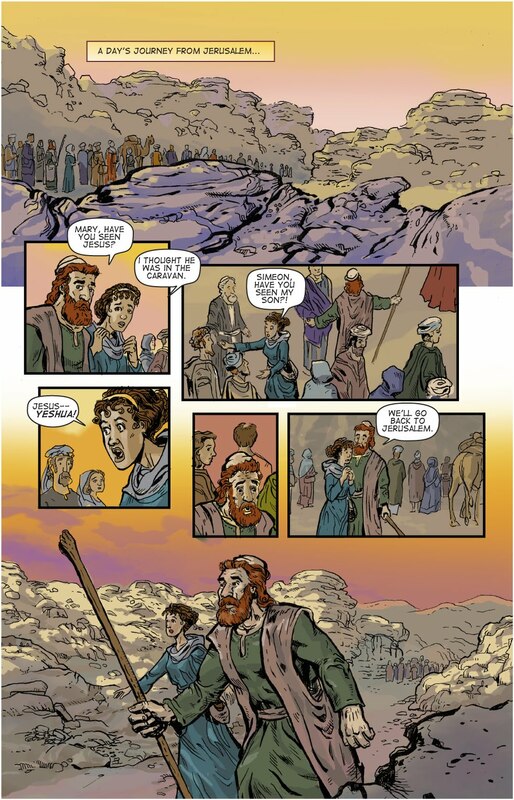 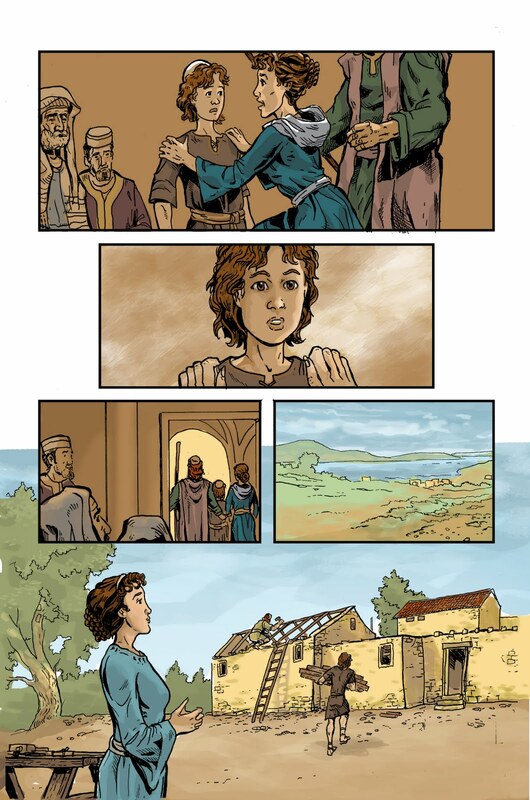 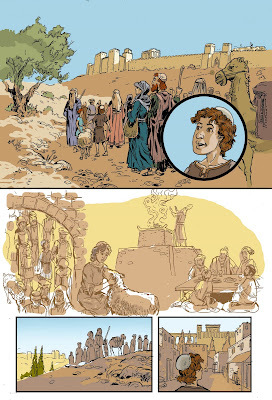 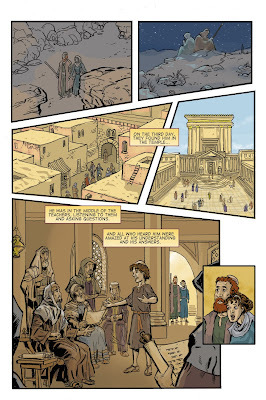 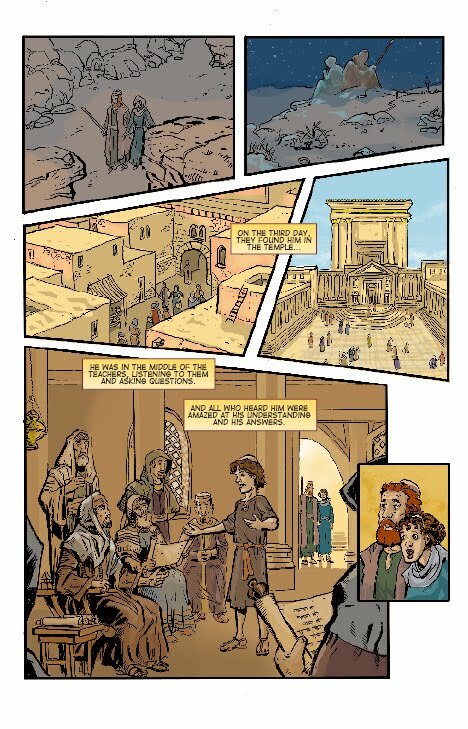 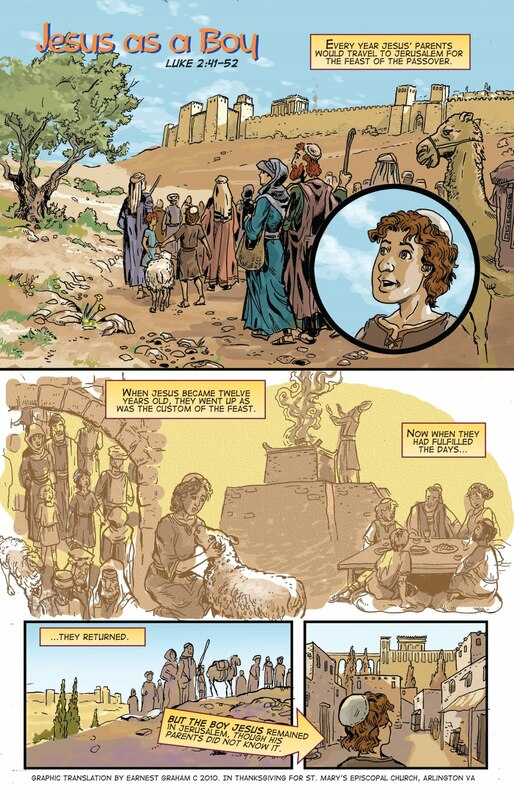 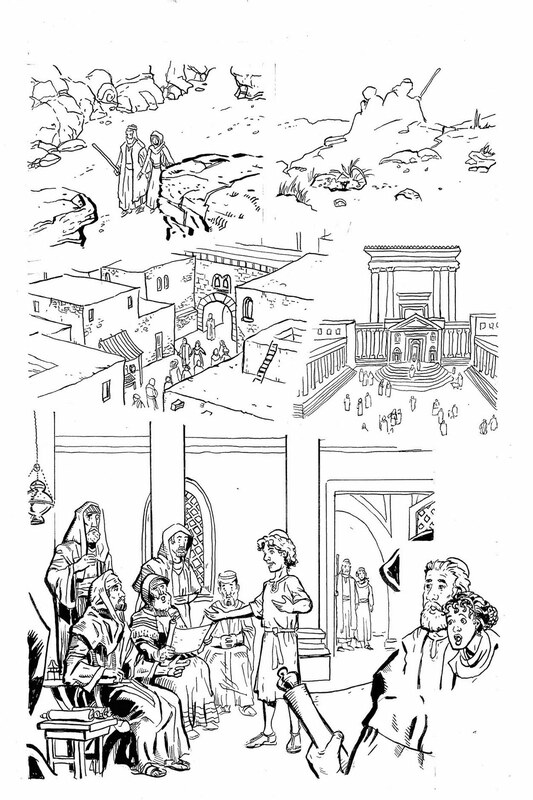 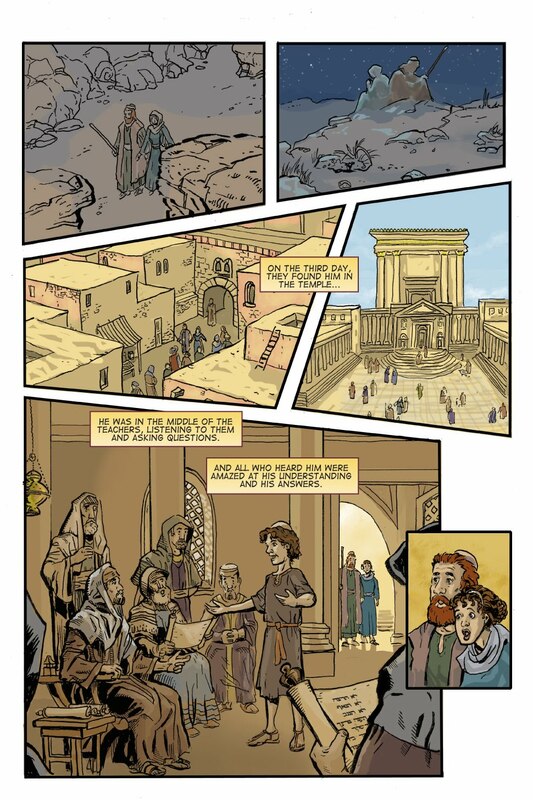 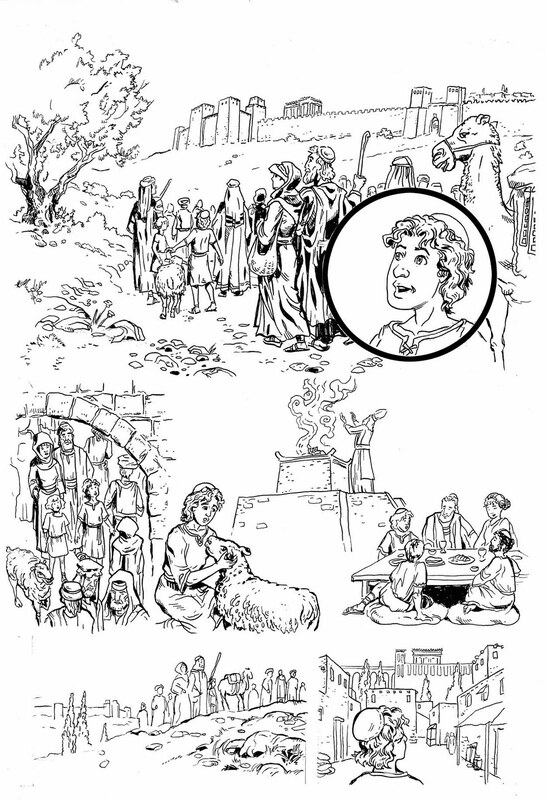 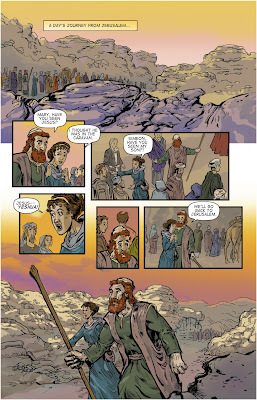 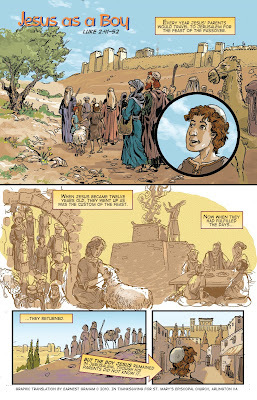 Here is the final stage of the Comic translation of Luke 2:41-52. The letters have been added to the color artwork using Adobe In Design. 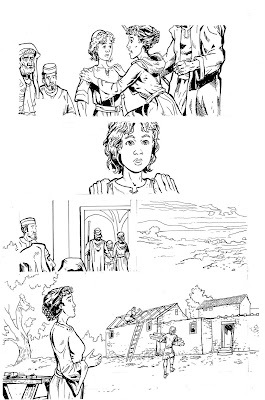 Inking is the step when you make the drawing ready for publication. 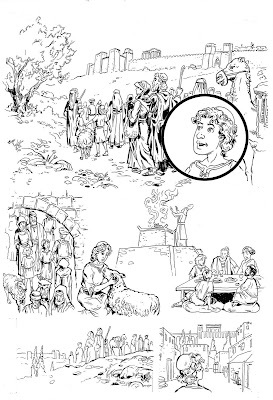 In traditional printing media, black and white ink reproduces easier and clearer. 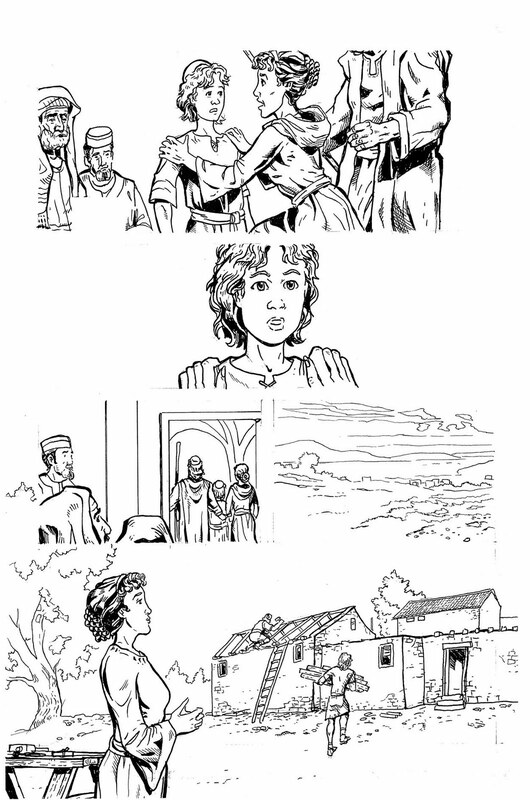 The inks on these pages were drawn directly on the penciled pages. It is also possible to scan them in and digitally ink the pages. 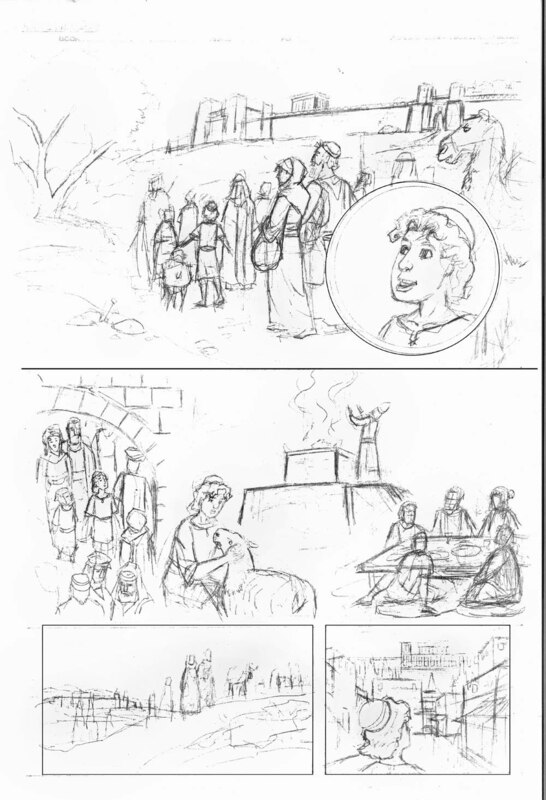 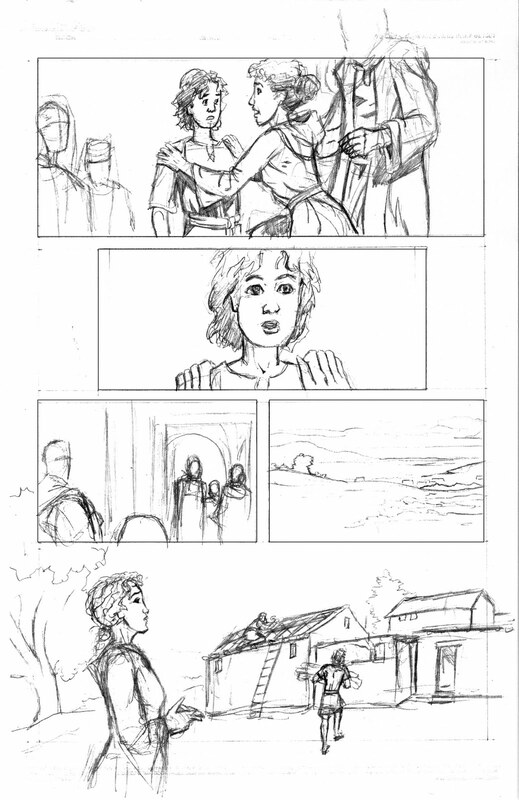 The next step in creating the comic is to refine the details of the drawing. 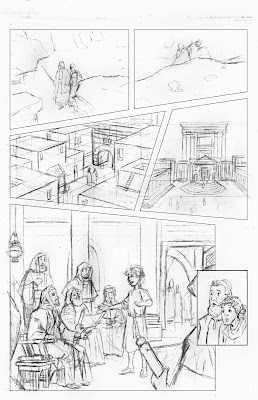 This is often called penciling, because you use a pencil- or other non permanenant way of drawing that allows you to make changes. 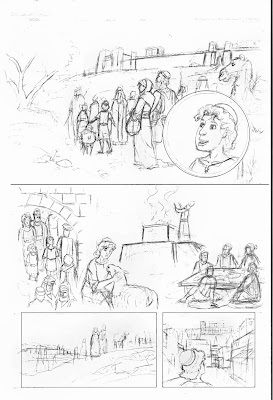 Using the Layout as a rough guide, it is now time to fill in the details of characters and settings. 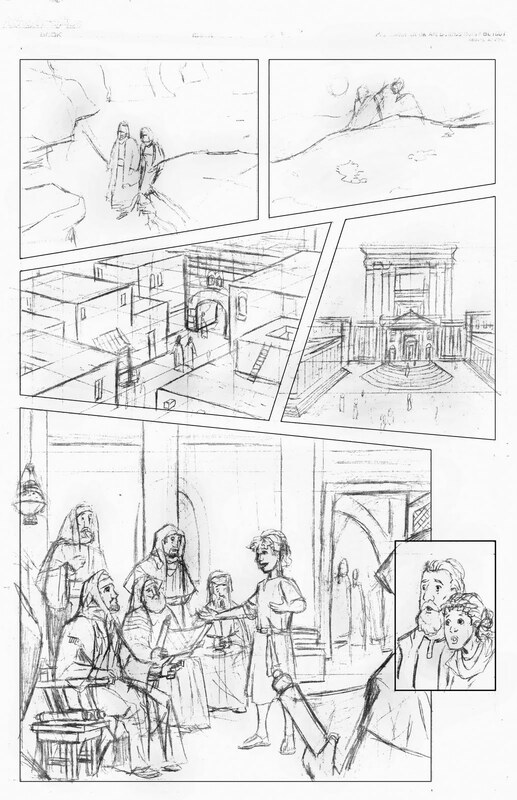 This is a place to work out the perspective of the drawing.